A DJ has become a vital part of maximum celebrations like bar mitzvahs, parties, ceremonies, weddings, and much more. It is a DJ that can break or make a party and includes dance based on whether the DJ you have hired is talented or not. A DJ is not a single person or instrument but it is a combination of many DJ equipments as well the person who’ll be playing them. Nowadays, DJs are playing music using their system and especially designed software that can mix music and disc jockeying. Here songs can be saved in hard drives instead of some portable media like CDs. Given below is a list of Dj equipment for beginners. New things are happening in our modern life at a fast pace and at times one wonders how things change beyond recognition, take example of music and Dj, at present we associate these two together, because parties we attend are having a Dj playing as default. Now, things were not like this in music just a few years back, music was played on different instruments by persons called musicians. And there used to be concerts by them with enthusiastic admirers. Technology has changed music and it has gone to digital and electronic way, modern Dj equipment is easily seen evidence of it. Change does not hurt when it is for better. Life in the parties and clubs have become better after Dj entered their floor, now it sports massive speakers that deliver surround sound with special effects that is like a hallmark of person Djing. Common equipments used by a Dj comprise of turntables, mixers, headphones, speakers, laptop with appropriate stand, and Dj lights. These are some very basic equipment used by Dj usually at a beginner level. Each of these equipments come in various types and has different features, one has to choose according to his or her style and the amount of money they are willing to spend. It is also quite common for Dj’s to have an all – in – one system which combines CD/USB and MIDI controllers. There is huge difference in prices of these music equipments, as there are different manufacturers who are in race to compete with each other in terms of features and prices. 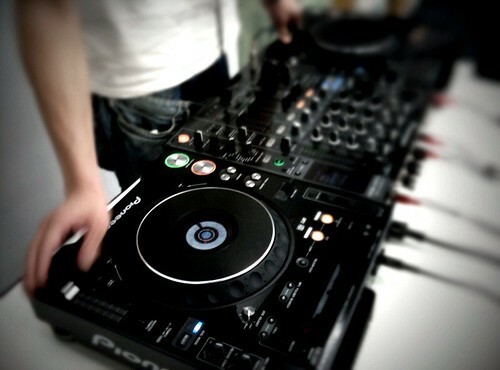 Normally choice of equipments also depends upon how much and where they are used by Dj. If a person is performing at a fix place as disc jockey than it is easy for him to analyze what all is needed for giving a great time to audience, and he or she chooses accordingly and can also opt for equipment, which is difficult to move. On the other hand a disc jockey, who plays at different places every now and then, will not have liberty as the earlier person had, so his choice of equipments are such which are easy to install and uninstall, along with feature of being sturdy enough to survive being transported from one place to another. As we mentioned dynamic nature of modern world, all the fields including this field of Dj equipment is undergoing changes for better. Driven by new innovations and development of technology there are bound to be new instrument and equipments, which we will see in near future, coming with promise of better performance. It is not in anybody’s power to stop this change, all we can do is to be open and flexible to learn new things. It should be our aim to give our best to the world and leave the rest for discretion of great almighty.